The final conclusion for the Empowerment Course– we made it! Many huge blessings and manifestations have come about through this process of transformation, and I’m deeply grateful to all of you for taking the journey with me. The basis of your experience is that of Well-Being. You can allow or resist it to vary degrees, but the Stream of Well-Being always flows. So, allow the fullness of your connection to the powerful, pure, positive Source Energy that you are, which feels like joy, love, appreciation, freedom, and knowledge. This connection is really speaking to your own feeling of self-empowerment. That is the ultimate choice. When you remember that your emotions indicate your degree of alignment with Source Energy and that the better you feel, the more you are allowing your alignment with the things you desire, then it is easier to understand how to respond to your emotions. Your emotions are simply the indicators of your vibrational frequency. The thing that matters most is that you consciously reach for a feeling that is improved. There are many that do not understand the vibrational content of emotions, and they may unwittingly steer you away from the feeling of improvement that you seek. Trust the way you feel, and always use YOUR emotional guidance to lead you. The key to regaining the ultimate feeling of personal empowerment is to decide, right now, no matter how good or how bad you are feeling, that you are going to do your best to make the best of it. Reach for the better-feeling thought that you have access to right now. Allow yourself to move from depression to anger, and then through frustration to overwhelment, and on to optimism and then belief. Then keep going in the direction of knowing that all is well, and that everything is unfolding perfectly to bring you the joy, growth and freedom that you truly desire. In a very short period of time, you will find yourself feeling relief and eventually in a very good-feeling place. That is how it works. You are an extension of Source Energy. The leading-edge environment that you are physically focused in will continue to stimulate new desires in all who participate. Every desire or preference, no matter how large or small it may seem to you, is understood and answered by All-That-Is. You are an expanding Being. It is ever so much more satisfying to consciously participate in your own delicious expansion. If you have the ability to imagine it, the Universe has the ability and resources to deliver it fully unto you. It is through your exposure to life experience that your natural preferences are born. You must understand that which you do not desire in order to be able to choose and focus on that which you truly want; that is free will. As you fine tuning your creative experience, you are taking thought beyond that which it has even been before– that is how powerful you are! Every physical being on this planet is your partner in co-creation, and if you would accept that and appreciate the diversity of beliefs and desires– all of you would have more expansive, satisfying, and fulfilling experiences. Simply utilize the things that will enhance your creation, and leave the rest behind. There is enough room in this expansive Universe for all manner of thought and experience. You had every intention of being deliberate about your own creative control of your own life experience and your own creations– and no intentions of trying to control the creations of others. The variety is here to inspire you. The valuable contrast in your life experience continues to provide the birthing of endless new rockets of desire. You never get it done because you can never cease to be and neither can your awareness of the contrast out of which a new idea is born. Feel the balance and perfection of your environment: Every point of Consciousness, even the Consciousness in every cell of your body, can request an improved state of being– and get it. Your eternal nature is one of expansion– and in that expansion is the potential for unspeakable joy. Your emotions provide a guidance system for you, for their primary function is to help you travel the distance from where you are to where you want to be. When you are in a state of joy, a state of connect, anything and anyone you come in contact with benefits from your attention. No one else needs you to be or do anything for them to be happy, for all of them have access to their own Stream of Well-Being. Your happiness does not depend on what others do, butonly upon your own vibrational balance and connection. The way anyone feels, in any moment, is only about their own mix of Energies. The way you feel is simply, clearly, and always an indicator of the vibrational balance between your desires and your vibrational offering. Every good feeling; every positive creation; all your abundance, clarity, health, vitality, and Well-Being (and all the things that you consider to be good) are dependent upon the way you are feeling right now. Once you understand your own Emotional Guidance System, you will never again be confused about where you arein relationship to where you want to be. With each thought that you offer, you can feel whether you are moving closer to, or further from, your desired outcome. This Universe is about inclusion. When you give your attention to something and say yes to it, you are including it in your vibration. But when you look at something you do not want and say no to it, you are including it in your vibration. Your attention to it includes it in your vibration, every time, no exception. Once you understand that your emotions are giving you specific feedback about your vibrational content, you can proceed deliberately and gradually to change your vibrational frequency in a more positive direction and sustain a more positive feeling position. The key to moving up the vibrational scale is to be consciously aware of and sensitive to the way you feel. Any improvement in the way you feel means you are making progress toward your goal, while any intensifying of a negative emotion means you are going the wrong way. Reach for the feeling of relief that comes when you release resistant thought. Replace with allowing thoughts. It’s just that simple! When you expect something, it’s on the way. When you believe something, it’s on the way. When you fear something, it’s on the way. If there are things in your experience that you no longer wish to experience, your belief must change. Choosing different thoughts requires focus and practice. If you continue to focus as you have been, to think as you have been, and to believe as you have been, then nothing in your experience will change. When you remember that everyone who asks is given, then how wonderful and appropriate it is for you to make the choices for you. No one else knows what is appropriate for you– only you do. You always know in the moment what is best for you. You must be in vibrational harmony with what you are asking for before you can let it in to your experience. Make a conscious connection between your thoughts, the subsequent feelings those thoughts evoke, and the manifestations that are occurring. Now you always know where you are in relationship to your desire. You make whatever you give your attention to your Truth. So, it is extremely beneficial for you to focus primarily on the way you feel– whenever you are giving attention to things as they are, you are hindering the expansion of what-is. Freedom from the fear of unwanted experiences will never be achieved by trying to control the behavior or desires of others. Your freedom can only be ALLOWED by adjusting your own vibrational point of attraction. Without knowledge of the Law of Attraction, and without a conscious awareness of what you are doing with your own vibrational point of attraction, it is understandable why you would attempt to control the circumstances that surround you. However, you cannot control the many circumstances that surround you. Nothing can jump into your experience without your invitation of it. Every being joyously enters into this time-space-reality eager for the opportunity to continually make new decisions and align with the Energy of their Source. You have come forth into this body and into this wonderful contrasting environment with the clear intent of focusing the Energy that creates worlds through the powerful lens of your perspective and your desires. The entire Universe exists to inspire new desire. There is no desire that anyone holds for any other reason than that they believe they will feel better in the achievement of it. At the heart of every desire is the desire to feel good. And so, the standard of success in life is not the things or money– the standard of success is absolutely the amount of joy you feel. The basis of life is freedom, and the result of life is expansion– but the purpose of life is joy. It is our absolute promise to you that no one connected to Source Energy would ever cause harm to oneself or another. powerful enough that its manifestation begins. I love waking up in the vortex and feeling eager. I like the feeling of eagerness, I like the feeling of satisfaction. Today, I looked at someone and I felt such appreciation for them. I really enjoy feeling love. The indicators that surround me, in my conversations and interactions, they represent my being in the vortex. I acknowledge that I’ve spent time outside the Vortex, and it is helpful to know that everybody does. as I explain that I’m only out because of this reality and that reality. I know understand that they were not saying those realities don’t exist, they were only saying that those realities do not serve me to focus upon them. It is now my eternal quest to give up whatever it is that I have to give up in order to spend more of my time inside the vortex. 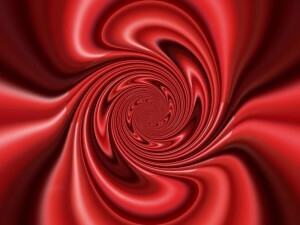 And now I’m going to turn my undivided attention toward getting into the Vortex the best I can. How does being in the Vortex feel?